Before you buy Halloween treats, use this list to find candy without palm oil. By taking a few seconds to look at ingredient labels, you can choose orangutan-friendly Halloween candy. Use this list all year for any occasion. Even on the same shelf, for the same type of product, the ingredients may vary. 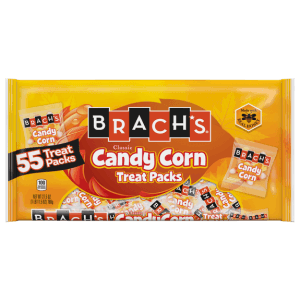 For example, BRACH’S has several different kinds of candy corn with palm oil and several without it. This is also the case with Reese’s Peanut Butter Cups. They have different recipes so it’s important to read labels and buy accordingly. For a list, click to download and print Orangutan-Friendly Candy Without Palm Oil for 2019 then continue reading below for tips. At Halloween, candy companies sell big bags with a mix of different candies. When you buy a bag with just one type of candy, it’s easier to avoid palm oil. Manufacturers change their labeling regularly. This list of candy without palm oil is intended to be a starting point. We obtained this ingredient and product information by researching online, in stores, and emailing companies. We continue to update this list with more information. You can make a big difference when you support orangutan-friendly palm oil free candy and treats. These convenient options make it easy for the Everyday Consumer to make an impact. Note: Avoid the bags of Hershey’s Miniatures, even with the flavors above. They often contain palm oil derivatives. See below. Give a handful to trick or treaters! Note: Avoid the packages that contain Hershey’s Hugs or the Hershey’s Hugs & Kisses together. Avoid the other flavors not listed above. Note: Avoid the Hershey’s Nuggets Assortment bags which contain a flavor with palm oil. Note: M&M’s Dark Chocolate Peanut – purple and yellow bag – contains palm oil. Be sure to read all labels in case they start to change their other M&M’s flavors. Some newer flavors now include Tocopherols, which are often made from palm oil. Please note, Mars Wrigley Confectionery does not make claims these M&M’s are palm oil free. Note: They’ve confirmed they have different recipes for their Reese’s Peanut Butter Cups. You must read labels. Look for the BAGGED, INDIVIDUALLY WRAPPED snack size or standard-sized cups in the candy section without a holiday theme. Some are palm oil free. See below for an explanation about Reese’s Peanut Butter Cups. Hard Candy – All flavors of their Hard Candy is free from palm oil derivatives. 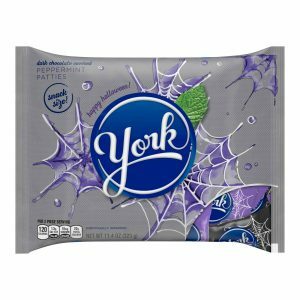 This includes their bags of Original, Fruit ‘N’ Sour, Fruit Bash, plus individual flavors. Give a handful! You must read ingredient labels before buying candy corn. 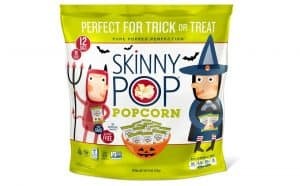 You can find some flavors, shapes and varieties of brand name and store brand candy corn without palm oil and palm kernel oil but it often contains it. Many candy companies report they are working toward sustainable palm oil. We support the candies and treats that don’t use any at all. 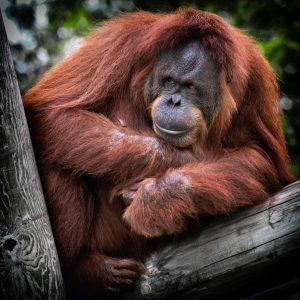 Click to download and print the 2019 list of Orangutan-Friendly Candy Without Palm Oil. Use it all year to choose candy without palm oil. The non-profit organization, Orangutan Outreach, explains how the palm oil industry affects the orangutan population. It’s great The Hershey Company, Mars, Inc., and Nestle still make some palm oil free chocolate. However, when possible, choose fair trade chocolate to make an even greater difference. There are other chocolate manufacturers — usually Fair Trade Certified Chocolate — who make their candy without palm oil as well; however, they may not be as practical to hand out for trick or treating. We will be adding more to this post to include Fair Trade Certified Chocolate. barkTHINS: Most of their flavors are palm oil free. Divine Chocolate — All of their chocolate is palm oil free. This is the very best thing you can do. Do not buy products with the obvious “palm oil” words — palm oil, palm kernel oil, hydrogenated palm kernel oil, etc. You make the biggest difference — at the store — when you choose the candy that is palm oil free. 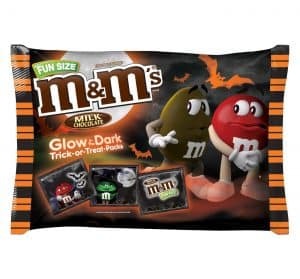 Around Halloween, you will see the “candy mix” bags. 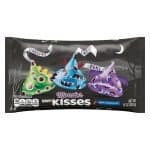 These are the big bags with a variety of candy types and flavors. As an example, you might see a bag with Hershey’s Milk Chocolate combined with Twizzlers and Whoppers. Only one of these candies is palm oil free. 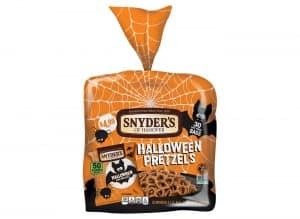 Instead, if you like a mix to offer to trick or treaters, you can buy the individual bags. For example, you can buy a bag of Milk Chocolate M&M’s, a bag of Hershey Milk Chocolate Bars with Glow in the Dark Wrappers, a bag of Jolly Rancher Hard Candies, and a bag of Dum Dum Lollipops. Learn how candy companies use palm oil. 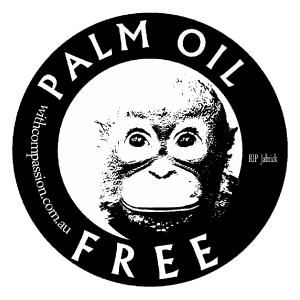 Most chewy, creamy, caramel, peanut butter, coated, and nougat type candies contain palm oil. If a company uses coconut oil or other higher quality oils in some of their products, there is a greater likelihood they aren’t using palm oil. Palm oil is a cheap oil, and it’s very versatile; that’s why companies use it. The FDA’s ban on trans fats went into effect in July 2018; candy companies have been using palm oil as a replacement. When you have a Reese’s Peanut Butter Cup that’s then stuffed with Reese’s Pieces, you have even more ingredients to be concerned with. With simple candies, you have a better chance of them being palm oil free. Learn common names for palm oil derivatives in candy. In addition to avoiding candy with the word “palm” in it, take it a step further. Don’t buy candy with Mono- and Diglycerides. Then, avoid candy with Tocopherols. If you can take one more step, work to avoid Glycerin on candy labels. Print out this 2019 list of palm oil free candy. Click to download and print this list of Orangutan-Friendly Candy Without Palm Oil. Use it when you shop. Remember, just because it doesn’t say palm oil, palm kernel oil, or hydrogenated palm oil, it may still contain it. There are many ways candy manufacturers use palm oil in candy. These ingredients are usually derived from palm oil. The Hershey Company is a company who very clearly and transparently lists all of their ingredients online. It’s very easy to find the ingredients for all of their candy products. Some of the other candy manufacturers list their ingredients but you really have to search for the information. Most of it is just colorful advertising. Some candy companies’ websites don’t have ANY information about their ingredients. 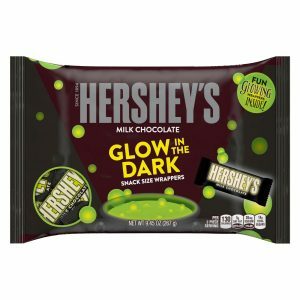 The Hershey’s site is by far the most transparent system of any of these candy companies, including Mars, Inc., Nestle, Wrigley, Wonka, Ferrara Pan, Goetze, Spangler, Mondelez International, Tootsie Roll Industries, and the others. Additionally, we researched in stores. We also emailed the companies to confirm their candy is palm oil free. We are waiting for confirmation on some, especially as to where the “source” of their ingredients come from. U.S. candy companies can apply to have their products assessed for Palm Oil Free certification. The International Palm Oil Free Certification Accreditation Programme certifies products that are 100% palm oil free. To date, they are recognized in 12 countries, including the United States. We used their list — which includes hundreds of palm oil derivatives — to research ingredients in candy. Please note, we continue to update this list to include palm oil free candy, chocolate and treats. Our intention was to compile an updated list of Halloween candy without palm oil. We wanted it to be easy for consumers to find in stores so we focused on popular candies. 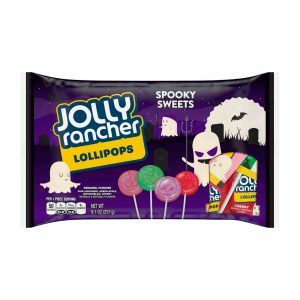 While there are many specialty candy companies who do make palm oil free candy, it’s not always practical to buy them, especially when you want to buy in bulk for lots of trick or treaters. 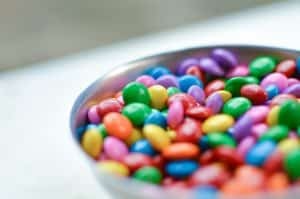 Also, while it’s tempting to buy a big bag with a variety of candies, it’s better to buy individual bags of each candy. It’s rare you will find a mix of candy without palm oil all in one bag. Note, many manufacturers change ingredients for their Halloween and holiday candy. They may offer different sizes, packaging and flavors. Disclaimer: We obtained this ingredient and product information from researching online and in stores. Please note, manufacturers change their labeling regularly. We have compiled this information for reference purposes only. Use this list as a starting point as you read labels and do your own due diligence. While this site strives to focus on and highlight products and candy without palm oil, we want you to know the candies we researched to show you how prevalent palm oil is popular candy brands. We researched each of these candies and treats. If they are appear below it is because their labels list “palm oil,” “palm kernel oil,” “hydrogenated palm kernel oil,” or due to their ingredients, they contain what appear to be palm oil derivatives. We emailed companies to confirm and will continue to update as they get back with us. Many companies wrote to say they use sustainable palm oil and that they are members of the Roundtable on Sustainable Palm Oil (RSPO). However, we choose candy without any palm oil. Remember, with so many orangutan-friendly candies to choose from (above) you can easily choose those that don’t contain palm oil. By reading labels, you can choose palm oil free. Airheads – You have to read the label on each package and variety; most contain palm oil, glycerol, etc. A note about Hershey Miniatures: This is a mixed bag of their mini candy bars. It will include some combination of Special Dark, Milk Chocolate, Mr. Goodbar, Krackel. The palm oil derivative usually found in this product is monoglycerides and/or tocopherols. Peanut: They are transitioning them to palm oil. Red Vines – They use much less palm oil than Twizzler but there is a minute amount in their citric acid which is derived from palm oil. Peanut Butter Cups: Miniatures, Halloween versions, etc. Reese’s makes so many different versions and flavors, with different ingredients and suppliers. They usually list palm oil, palm kernel oil, etc. so read the label in advance. If it says Hydrogenated Vegetable Oil and doesn’t cite the source, there may be palm oil in it, according to what it says on their website. When we sent them the UPC code, their nutrition expert confirmed they do not contain any palm oil or palm oil derived ingredients. Not all of our REESE’S products, however, are made with the same recipe. 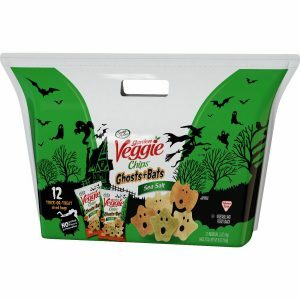 For example, we do include palm oil as an ingredient in our unwrapped REESE’S Peanut Butter Cups, Minis, and some of the other variations of REESE’S products such as our White REESE’S Peanut Butter Cups and our Halloween White REESE’S Peanut Butter Ghosts. In addition, the REESE’S Peanut Butter Cups that we manufacture specifically for International markets may also contain palm oil. So, you may be able to find Reese’s Peanut Butter Cups without palm oil. However, you must be diligent about reading the labels. If it says palm oil, palm kernel oil, hydrogenated palm kernel oil, etc., put it back, and look for another one. Look for the BAGGED, INDIVIDUALLY WRAPPED snack size or standard size cups in the candy section without a holiday theme. Twizzler (all, including these); Red Vines is a superior choice to Twizzler products as they use less palm oil. Many zoos have a Halloween event — Zoo Boo, Boo at the Zoo, Boo Zoo, etc. — in which guests are encouraged to wear costumes and trick or treat throughout Halloween-themed areas. These are fun, family-friendly events. Oftentimes, zoos publish lists of orangutan-friendly candy in order to create awareness. However, typically these lists are outdated. Additionally, many of them focus on candies that use sustainable palm oil. We want to highlight and showcase the candy companies and brands who have found ways to make candy without ANY palm oil. These are the companies we want to promote and tell consumers about. In many areas in our world, and especially in Sumatra and Borneo, palm oil plantations are devastating tropical rain forests. Native people as well as populations of wildlife, including orangutans, Sumatran tigers, and more are affected. Learn more about the endangered species threatened by unsustainable palm oil production. Companies sometimes use sustainable palm oil. Yet, when companies use any type of palm oil, it creates more demand. Therefore, we support candy and treats without any palm oil. Many people and innovative companies seek palm oil free alternatives for environmental reasons. Learn more about the effects of palm oil related to Halloween candy. Reach out to companies to encourage them to make more palm oil free candy. Contact candy manufacturers via email and on social media to tell them you want them to stop using palm oil in candy. Thank companies for making their candy without palm oil. Remember, you vote with your dollars when you buy candy without palm oil. Learn how to find products without palm oil. It’s essential to read labels before you buy anything. Remember, when you don’t buy products that list palm oil, palm kernel oil, hydrogenated palm kernel oil, and red palm oil, you will make a big difference! We have compiled this information for reference purposes only. 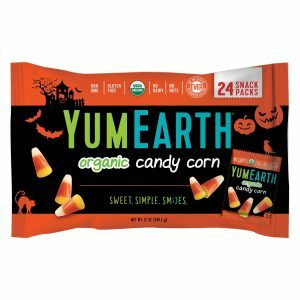 This list is meant to be a starting point in order to help you find palm oil free Halloween candy and candy throughout the year. We also want to inform you about how prevalent palm oil is in the candy industry. Click to download and print Orangutan-Friendly Candy Without Palm Oil for 2019. Note: Fruit Roll-Ups contain palm oil. Granola bars usually contain palm oil and aren’t a good choice to pass out for Halloween. Note: Gum without palm oil is difficult to find as it usually contains glycerin, typically a palm oil derivative. Think of other things to pass out besides palm free snacks and candy to trick or treaters. This can be nice for kids with food allergies. Coins – Give a quarter, dimes or nickels. You can give a half dollar if you don’t have many trick or treaters. 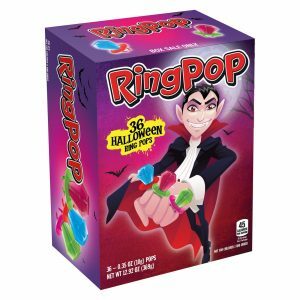 Glow sticks, Halloween toys – Wal-Mart, Target, Oriental Trading all sell glow sticks, Halloween balls, necklaces and trinkets. Here’s an alphabetical list of palm oil free candy. Is your favorite candy palm oil free? Do you know of others? What do you think about companies using palm oil in candy? Leave a message in the Comments. 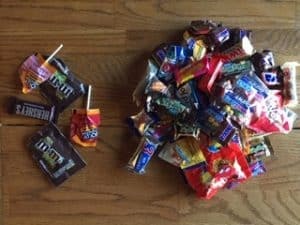 Trick or treating haul: Can you guess which pile is palm oil free? We continue to update this post. It’s important to buy palm oil free candy all year. When you shop for holiday candy — think Valentine’s Day candy and Easter candy — read ingredient labels. They often change for holidays. You can have a Happy Halloween and still be orangutan-friendly. Read all labels. Manufacturers change ingredients. This list is meant for reference and to be a starting point.